The Central Florida Expressway Authority opened Wekiva Parkway Sections 1A and 1B, the first five miles of the Wekiva Parkway (State Road 429) on Thursday, July 27, 2017 to help complete Central Florida’s beltway. (CFX) Section 1A begins where the Daniel Webster Western Beltway (State Road 429) ends near US 441. Section 1B extends from near Ponkan Road to Kelly Park Road. This section of the parkway provides a much-needed alternative to local roads, including Plymouth Sorrento Road. 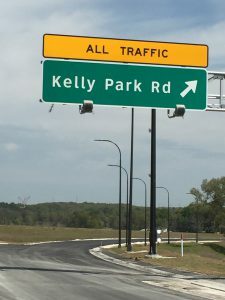 Sections 1A and 1B, totaling $102.6 million in construction costs, extend from where the SR 429 currently ends at the Connector Road near US 441, to a new interchange at Kelly Park Road. 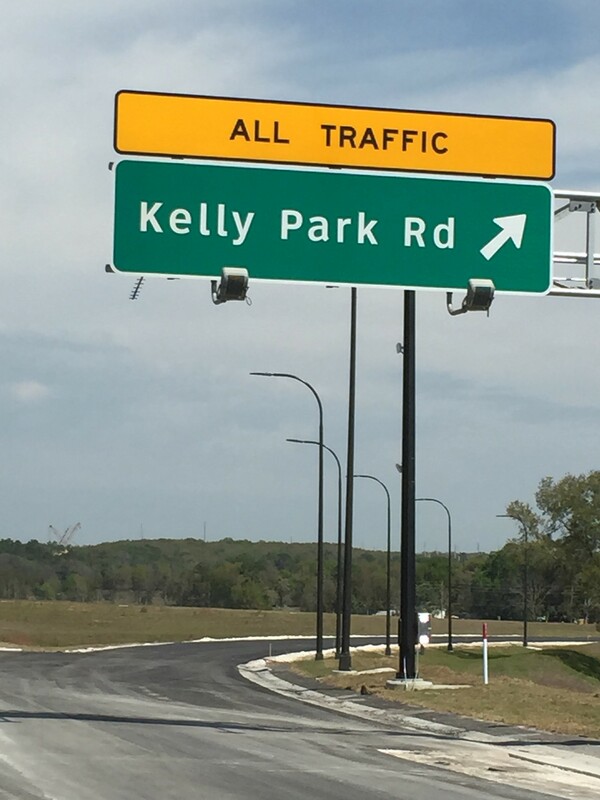 The 5-mile stretch includes interchanges near US 441 at Connector Road and Kelly Park Road, along with bridges at Southfork Drive, Yothers Road, Ponkan Road and other locations. To reduce visibility and noise for nearby communities, CFX built the parkway below the current roadway elevation at Belgian Street and Yothers Road. Bridge construction will require some road closures and detours. The Wekiva Parkway is the first expressway in Central Florida to feature all electronic tolling for customer convenience and to keep traffic moving. A Section 1A toll gantry also features the eye-catching aesthetic features found throughout the project. CFX has built five parkway sections totaling 10 miles and more than $271 million in construction costs. The entire $1.6 billion Wekiva Parkway will complete Central Florida’s beltway by 2022, while helping to protect the natural resources surrounding the Wekiva River. Click here to view the Section 1A map. Click here to view the Section 1B map. Construction on these two sections began in 2015. This portion of the parkway opened to traffic on July 27, 2017. The Wekiva Parkway features all electronic tolling. The toll gantry is located south of Ponkan Road. Toll costs can be found by clicking on the toll cost flier below. Click here to see Toll Costs. As many as 6,300 trips a day were expected on this stretch in the first year. By April of 2018, more than 16,000 trips were occurring each day during the work week. Click here to download a fact sheet for this project. Please visit our interactive map to see when construction or lane closures might be taking place along SR 429. You can also follow the Wekiva Parkway project on Facebook and Twitter for real-time updates.